Rafael Nadal will receive Spanish 2017 AS award for best athlete. He is going to be honored as the greatest athlete of the past 50 years. This award will be given to him by the King and Queen of Spain at a dinner in his honor (and the female winner) on December 4, 2017. Good. He deserves this. But I think people still don't consider him the GOAT or in the same league as others probably because people try to make his dominance on clay a negative instead of a positive. 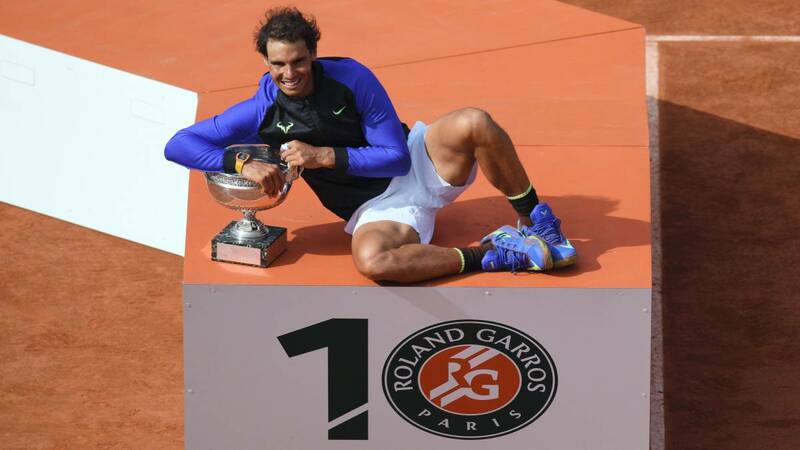 Like "oh had he not been nearly unbeatable on clay he wouldn't be half as good". (11-20-2017, 12:19 PM) zohaibs Wrote: Good. He deserves this. But I think people still don't consider him the GOAT or in the same league as others probably because people try to make his dominance on clay a negative instead of a positive. Like "oh had he not been nearly unbeatable on clay he wouldn't be half as good". Based on his current winnings and what should have been, it is safe to assume that yes that would render him without a doubt a GOAT. Basically a best all around player ever because nobody has completed a double career grand slam (winning every major at least twice). If we evenly distribute his winnings from French Open then that would make his career triple grand slam. (11-20-2017, 03:12 PM) moonwalker Wrote: Based on his current winnings and what should have been, it is safe to assume that yes that would render him without a doubt a GOAT. Basically a best all around player ever because nobody has completed a double career grand slam (winning every major at least twice). For me Rafael legacy isn't something special. He is very good but not elite. At least not yet and I don't see it in foreseeable future.